Party time, party people! 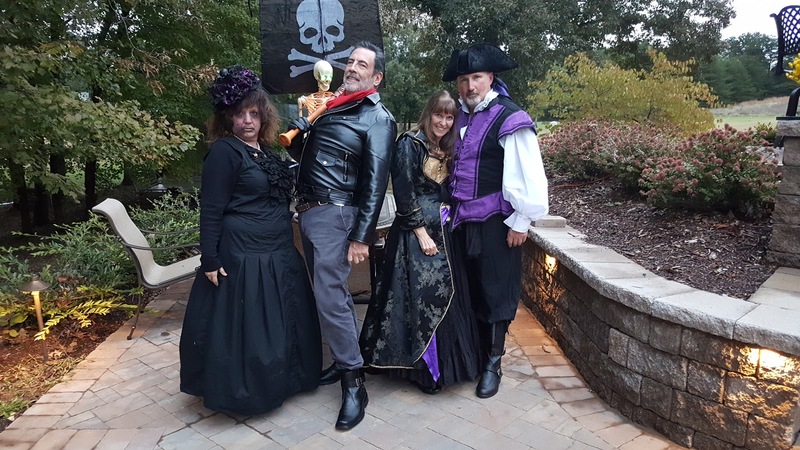 Helluva Halloween gathering at the castle of BigG7777 (a.k.a. Gerry) and Suntigres (a.k.a. Bridget) last night. A buncha geocachers, winos, and miscreants of all stripes descended on the place, wreaked havoc, and made merry. 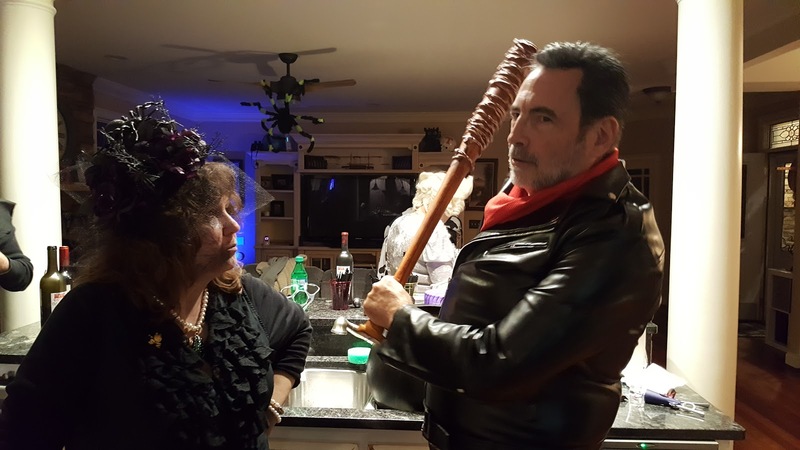 Ms. B. and I put together a little Game of Thrones motif, while friends Terry and Beth made the most convincing Negan and Lucille from The Walking Dead since the dead ever started walking. 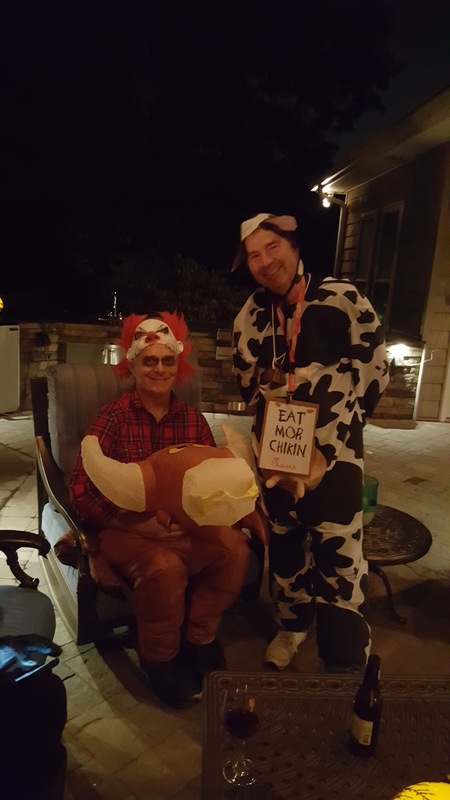 We had BigG's frightening doppelganger, a Chick Filet Moo Cow, a menacing butcher, a vampire, Marie Antoinette (head still attached, at least as of last night), a rodeo clown with an inflated ego (and bull), Red Riding Hood with accompanying Big Bad Wolf, and other assorted creepy critters. 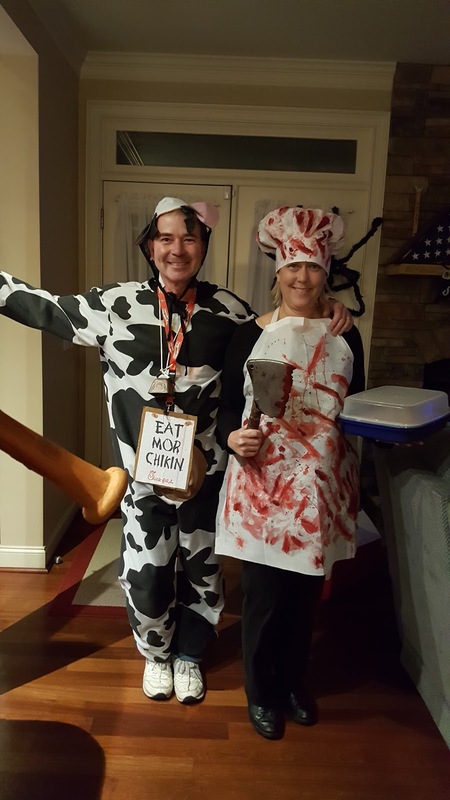 Thanks to Gerry & Bridget for hosting, and to everyone who came around. Here's to a hellishly happy Halloween to one and all. 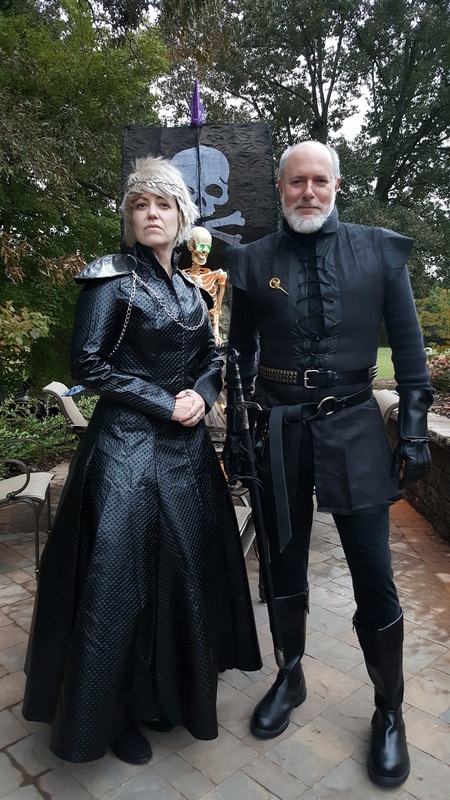 The Lannisters always pay their debts. 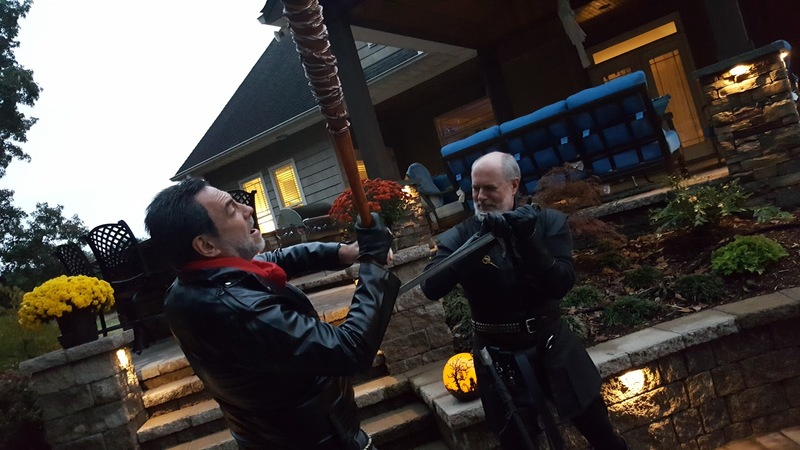 Poor Negan! "Put the damned bat down, and go wash up for dinner." For me, the Halloween season is the time of year for nightly horror/monster movies, and this year, I have gone to town. Cryptozoological thrillers always make for favorites, so I've put on several in the past couple of weeks. Since I saw it at the drive-in theater on its initial run, 1976's Creature From Black Lake has been a perennial favorite. So I'm gonna give it the quick treatment here at what we're gonna call—at least for this Halloween week—the Drive-in Where Horror Dwells,. The Story: Two grad students from Chicago—Rives (John David Carson) and Pahoo (Dennis Fimple)—travel down to Oil City, LA, to check out reported sightings of a direful "Bigfoot Creature" for their anthropology research project. Upon their arrival, they attempt to track down an old trapper named Joe Canton (Jack Elam), whose partner was reportedly killed in the swamps by a big hairy beast. However, as the locals don't have much interest in discussing their cryptozoological neighbor, they give the young men the chilliest of receptions. 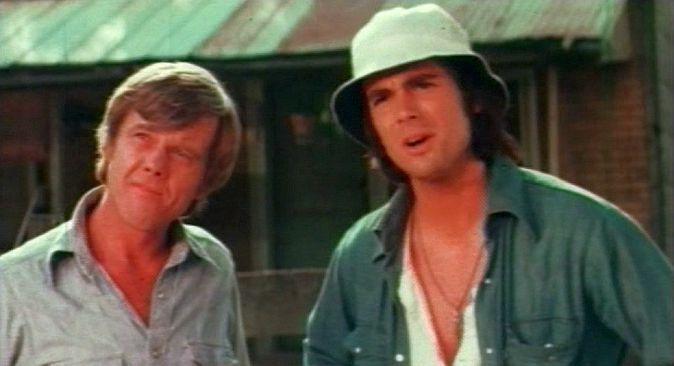 In particular, Sheriff Billy Carter (Bill Thurman) takes a dislike to the fellows and tells them not to go nosing around where they don't belong, i.e., anywhere in town. 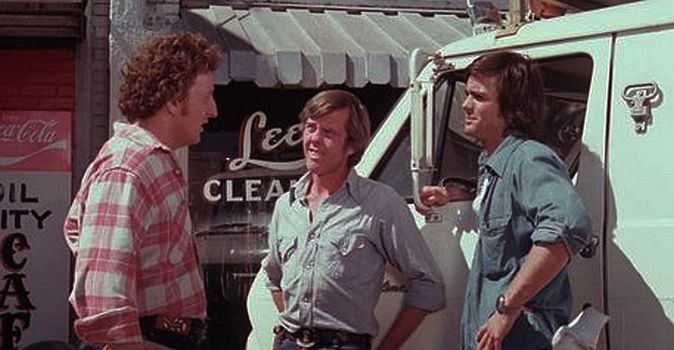 However, a young gentleman named Orville Bridges (Jim McCullough, the movie's screenwriter), having overheard their exchange with the sheriff, tells them that, when he was a wee tot, the creature killed his parents, and he invites them out to the family place on the edge of the lake so they can have an in-depth conversation. 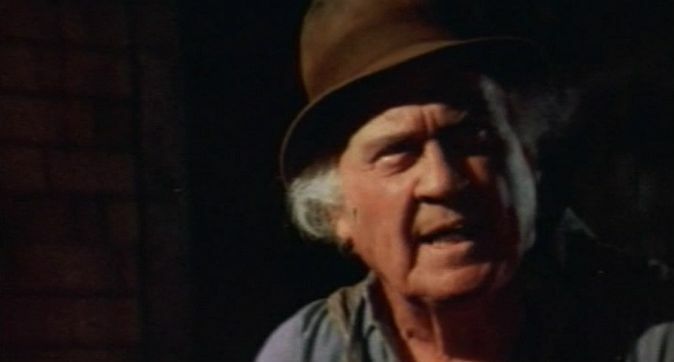 Orville's Grandpa Bridges (Dub Taylor), at first suspicious of their intentions, eventually warms up to them and invites them to family dinner. He does give them a very stern warning to avoid bringing up the creature, since this would upset Grandma Bridges (Evelyn Hindricks). But upon hearing the braying of the family mule, an overly excitable Pahoo hollers out, believing it to be the creature on the rampage. Boom. Next thing you know, Rives and Pahoo are relegated to the barn. And after dark, guess-what comes roaming around. Rives is able to record its cry on his tape recorder. After an uncomfortable night, they return to town, where they meet a couple of young women, Michelle (Michelle Willingham) and Becky (Becky Smiser)—the latter of whom turns out to be Sheriff Carter's daughter. Smitten and not to be dissuaded, the gentlemen invite the ladies to their campsite for the evening. Not only do Becky and Michelle oblige them, so does the creature, at least briefly, as does Becky's irate, badge-wearing dad, who pulls our heroes into the jailhouse. There they meet friend Joe Canton, who has also been pulled in, drunker than hell after another Bigfoot encounter of his own. to discuss Bigfeet over dinner. 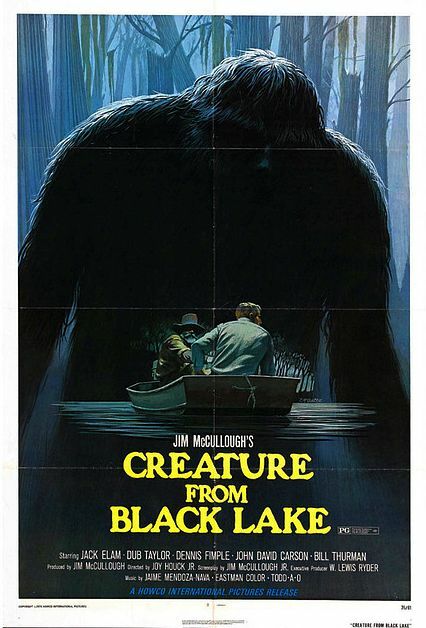 Creature From Black Lake came out at the height of the 1970's crypto-horror era, amid such luminaries as The Legend of Boggy Creek (last night's Halloween treat); Bigfoot; The Legend of Bigfoot; Sasquatch, the Legend of Bigfoot; Mysterious Monsters; and numerous others. Although Creature From Black Lake is not presented as a documentary in the way of The Legend of Boggy Creek, the two movies could almost be considered companion pieces, with their settings being only 50 miles apart, and their styles, tones, and pacing remarkably similar. 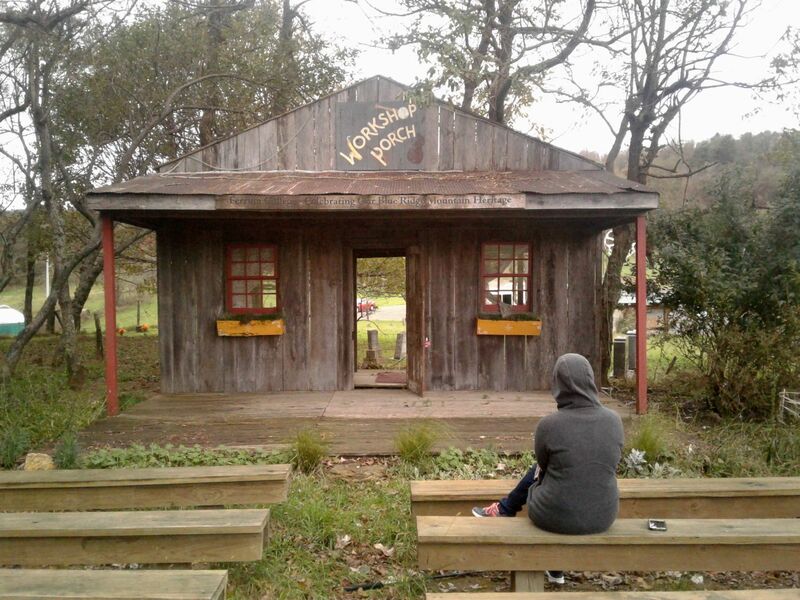 Both movies are set and filmed in actual locations — Boggy Creek in Fouke, AK, and Black Lake in Oil City, LA, and both use actual residents of their respective towns as characters. Like most such movies of its day, Black Lake is a slow burn, focusing on character development and playing up the creepiness of the setting—two elements too often missing from their contemporary counterparts. While some might consider the slow pacing a drawback, I find it relaxed without being dull, the characters well-drawn and engaging, unlike the cardboard, stereotypical teenage clowns that have populated all too many horror flicks, both then and now. Indeed, actors Jack Elam and Dub Taylor, known for their exaggerated features and mannerisms, turn in appealing performances, both exhibiting humor and pathos in equal measure. As Pahoo, recognizable character actor Dennis Fimple—who appeared in virtually every TV show from the 1970s and 80s, as well as movies such as King Kong (1976), Maverick, and House of 1,000 Corpses—turns out to be quirky and likeable, while pretty boy Rives, played by John David Carson (also recognizable from countless 1970s and 80s flicks), starts out too cocky and smart-mouthed for his own good. As the story progresses, though, Rives learns he is not the self-assured, capable soul he believed himself to be. At the end, consumed by grief for his missteps, Rives breaks down with remorse, and Carson delivers a poignant performance. The focus on characters one can actually care about makes the difference between life and death for this film's pacing. Happily, it does live. No movie about a monster is complete without the monster, but sometimes the reveal can be a movie's downfall. 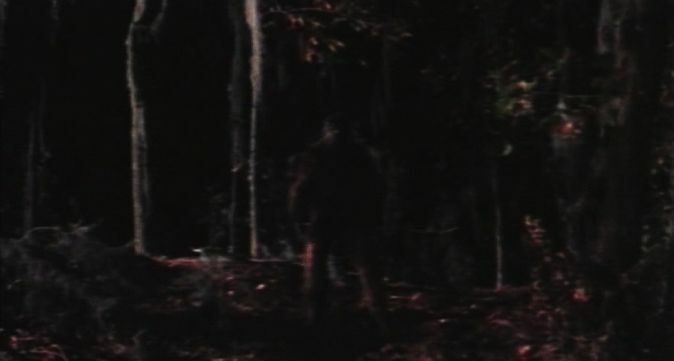 Films such as Boggy Creek kept views of the creature sparse, with little detail shown, which, given the threadbare budget, proved a wise move. Black Lake comes perilously close to giving us too much, as the few close-ups of the critter are, unsurprisingly, not convincing. However, for most of the movie, we see our Bigfoot in silhouette, in the distance, or in the quickest of cuts. A haunting shot of the thing partially backlit on a hillside after it has had a little tangle with Rives and Pahoo's van is the standout image from my first drive-in viewing of the film in the 70s. It's a matte shot, given away by a slight jiggle just before the camera cuts away, but this hardly spoils the impressive effect. A special-effects extravaganza this movie is not, but expecting one would be unrealistic. Where the monster is concerned, we do get mostly solid cinematography and effective use of suspense. Some "old" movies that made an impression in my youth simply don't hold up to later viewings. Creature From Black Lake, however, is not one of those. It may be somewhat cruder than my first impressions of it all those years ago, and it most assuredly plays as a product of its time. Yet its solidity as a character-driven, atmospheric piece holds its own against so many later and contemporary horror stories, and I rate it among the ranks of damn-near perfect drive-in movies from those heralded days of yore. 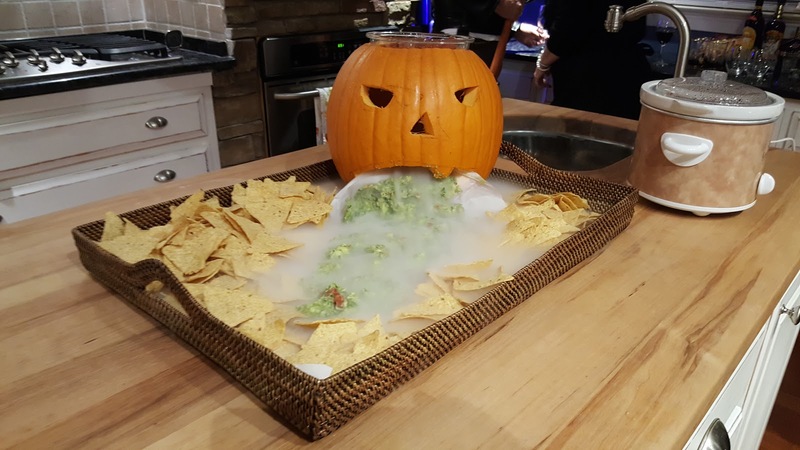 Especially at Halloween time, this one gets 4.5 out of 5 Damned Rodan's Dirty Firetinis. 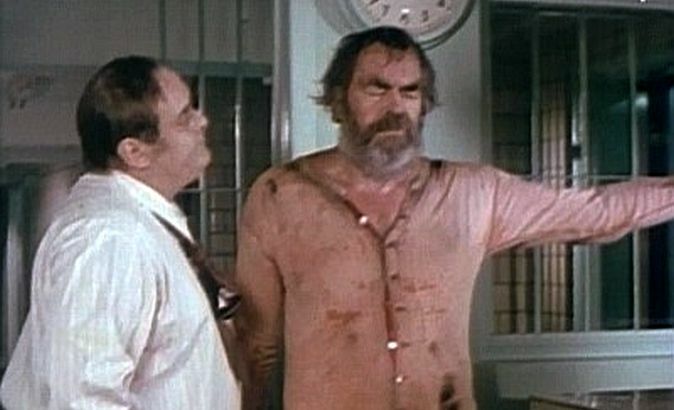 Joe Canton (Jack Elam) a sobriety test. Epic fail. There's trouble afoot for Rives and Pahoo! 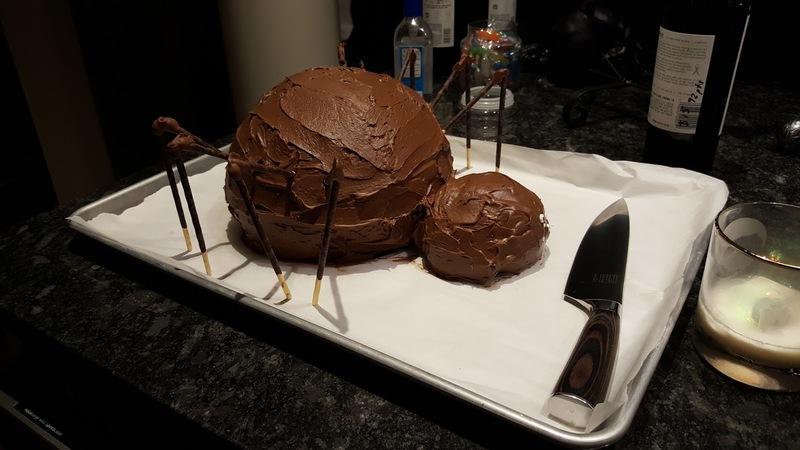 What the HELL is that thing!? Hey, kid! Don't put your lips on that thing! WHEN: Saturday, November 3, 10:00 a.m. The presentation will include an introduction to geocaching, with an opportunity to hunt a new cache hidden on (or near) the library grounds. 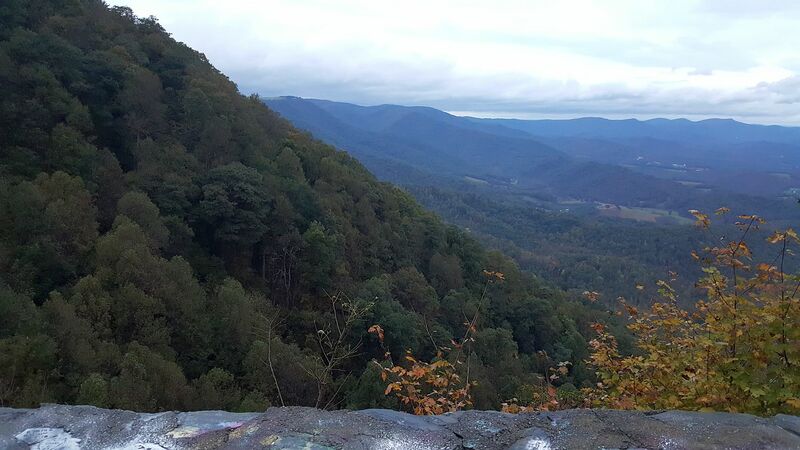 I'll give a brief talk about my newest novel, West Virginia: Lair of the Mothman, which features geocaching as an integral plot element. 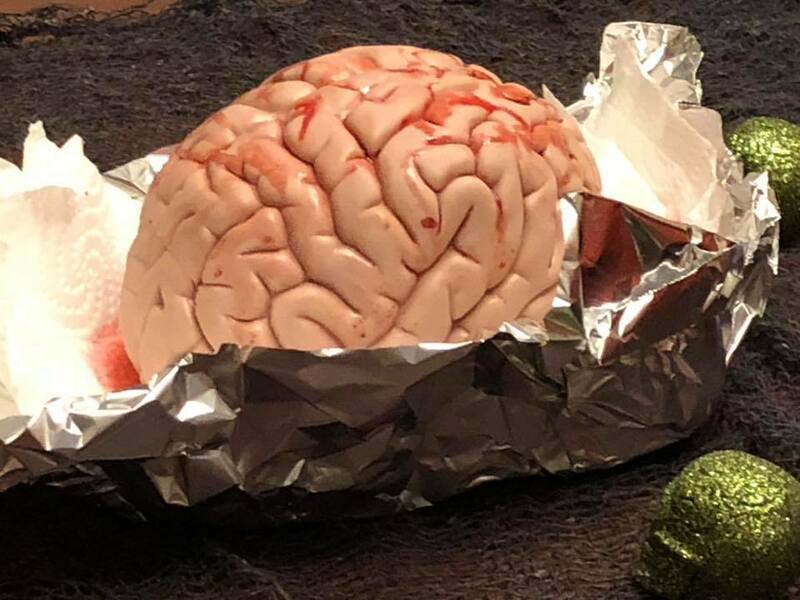 The book is part of Elizabeth Massie's Ameri-Scares series by Crossroad Press, due for release later this year or early next. The prerequisite things for Halloween to come have now happened. The viewing of Night (Curse) of the Demon? Check! The viewing of It's the Great Pumpkin, Charlie Brown? Check! 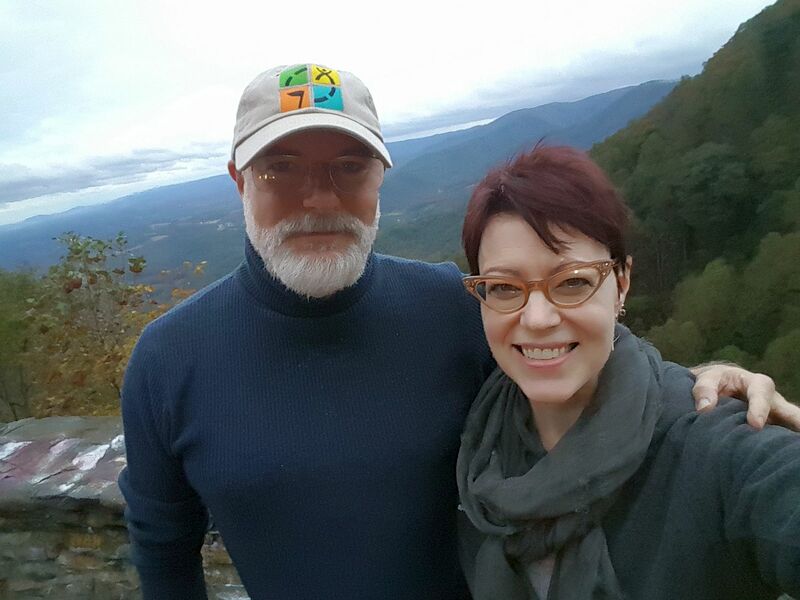 The trip with Ms. B. to the Blue Ridge Parkway for breakfast at Mabry Mill, roaming the countryside and grabbing any stray geocaches we can find, and having wine and a picnic at Villa Appalaccia Winery? As of today... check! Now, this is not to say other things aren't going to happen—such as picking up pumpkins for jack-o'-lanterns, maybe getting in a bit of decorating, watching some more scary flicks, and having a Halloween party. They will. But with these most necessary of necessary things now out of the way, Halloween can actually occur with our blessing. Brugger and I went to Martinsville last night and took Mum out for a pleasant, slightly belated birthday dinner at Rania's restaurant. Then, well before dawn's early light this morning, Ms. B. and I hit the road for the Blue Ridge Parkway and arrived at the mill/restaurant a bit before 8:00 a.m., their usual opening time. But how nice—we now come to find they're open at 7:30 a.m., which is a first (a very welcome first), so we were able to walk right in and get seated. Historically, there have been some very long, very cold pre-dawn waits, as the staff would not unlock those doors till the striking of the hour, no matter the bitter elements patrons might face. 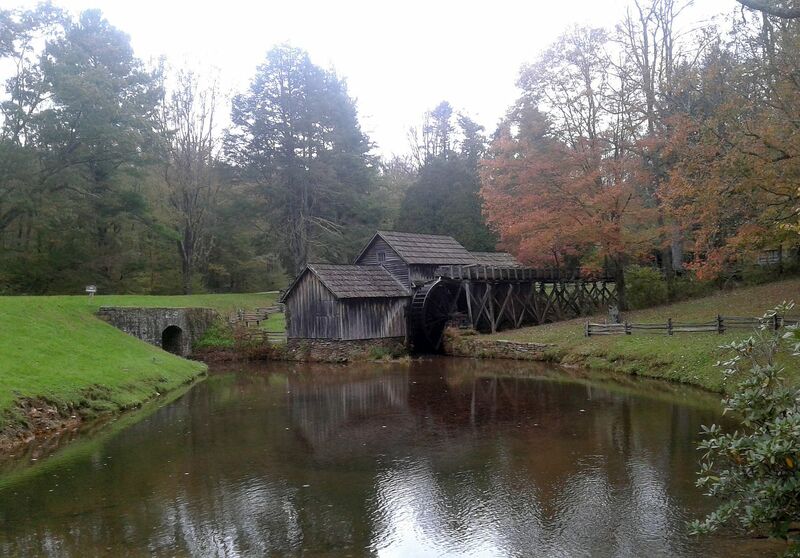 An autumn trip to Mabry Mill has been tradition in my family for just about as far back as I can remember, and I love nothing better these days than keeping it going. 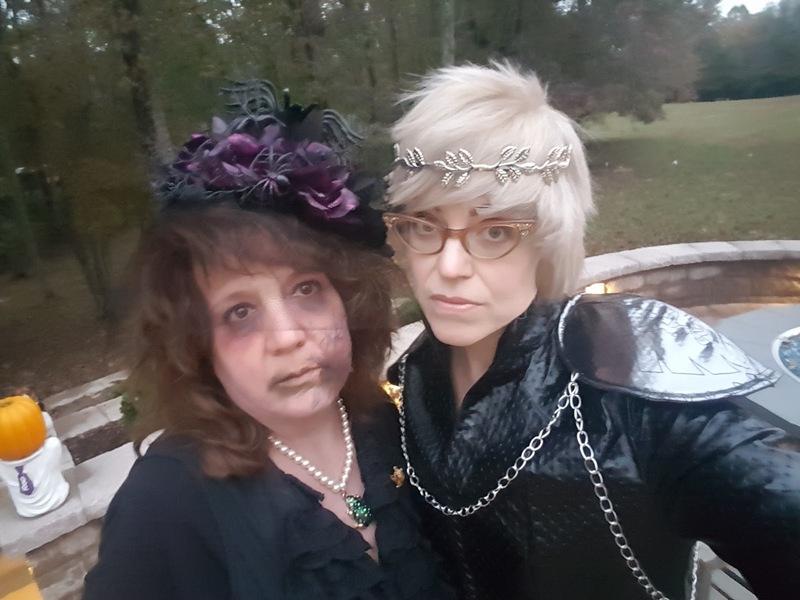 You know, for the longest time, I've said Halloween is my favorite holiday, and I reckon it is, but the best day of the Halloween season is the one where Brugger and I make the Parkway Pilgrimage. Due to weather and other conditions, things worked out a little differently than planned today, but it still turned out to be everything we hoped it would. Brugger talked me down from Lover's Leap. Pretty, but not much fall color yet this year. The peak is about a week late. Breakfast was basically my typical favorite: three pancakes—one buckwheat, one sweet potato, and one traditional—with a side of sausage and flowing rivers of hot coffee. Ms. B. enjoyed eggs, sausage, a biscuit, and hot cocoa. From there we had intended to hit the trail head at the western end of Rock Castle Gorge, which we've hiked several times, but always from the other end. 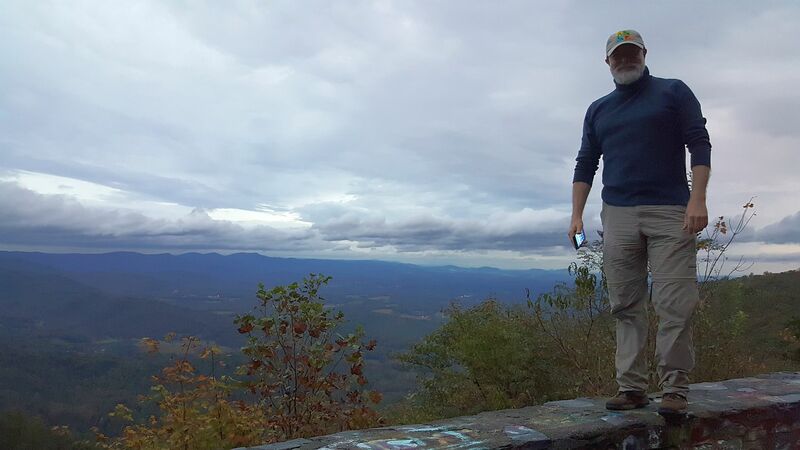 Today, however, the road leading to the trail head was closed off, and the weather was looking somewhat menacing, so we opted to make other plans. There was a geocache at the nearby Floyd Fest site, adjacent to Villa Appalaccia, so we popped over there, wandered the grounds for a while, and made the cache find ("Got Wild?" GC7TA5Y). Afterward, since we had plenty of time before the winery opened at 11:00 a.m., we drove into Floyd and wandered one of the shops Ms. B. had enjoyed on a previous outing. Then, as the 11 o'clock hour struck, we hastened back to Villa Appalaccia to do those things that had to be done. 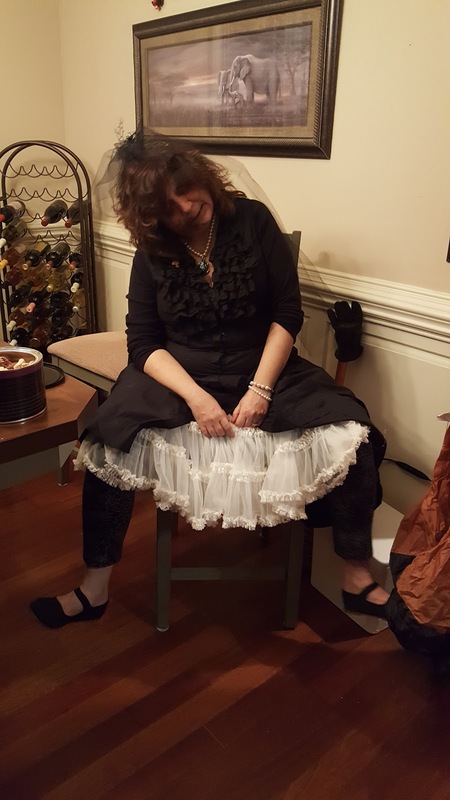 We were the first customers to arrive, so we ended up having an excellent tasting and some entertaining and educational conversation about Italian wine with our hosts. After the tasting, we carried a couple of glasses with us down to the garden terrace area, which is the best place we know to drink wine, and there... we drank wine: delicious Sangiovese and Toscanello for me, and a fine Aglianico for the nice lady. Also following tradition, we had packed a picnic lunch, which we destroyed in a fairly spectacular feeding frenzy. After all that, we had thought to perhaps check out some wine at Chateau Morrisette winery, which we frequently include in our plans, but once we arrived there, we ran into an all-but-impassable wall of humanity (mostly engaging in sweet wines, it appeared; oh, ye poor unsnobbish souls), so we opted to forego the Morrisette experience and return to Casa de Rodan for a couple of episodes of Netflix's The Haunting of Hill House, which we have been enjoying. 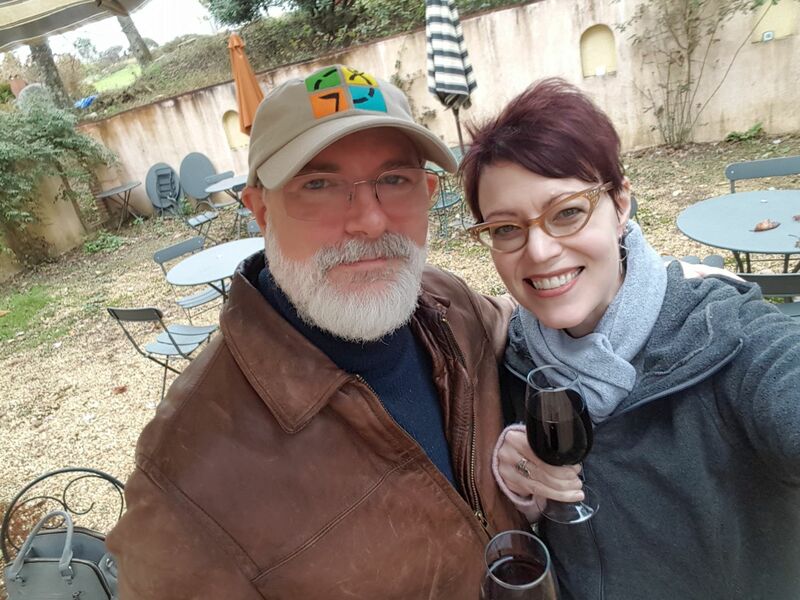 We both love the restaurant at Chateau Morrisette, but I'm afraid we haven't had many stellar experiences at the winery. It's generally mobbed, the wines are fair at best, and the service is hit-or-miss (we've had at least as many misses as hits). So though we cut the outing a little shorter than anticipated, our alternate plan worked out much more to our liking. And what all this means for you, ladies and gentleman, is that Halloween may now come. We accept donations via cash, Paypal, and all major credit cards as tokens of your appreciation. Oh, there it is. And a nice lady in the bargain. 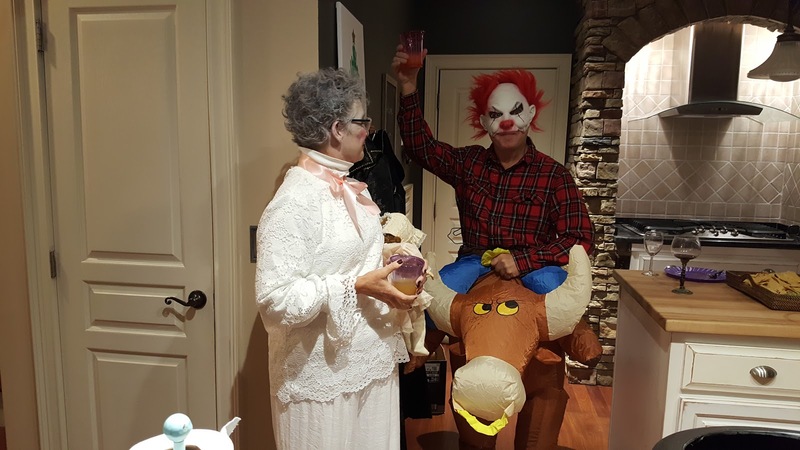 Happy horrorween! All righty, buckaroos, apart from a few final edits, West Virginia: Lair of the Mothman is done. It'll be zooming off to the publisher—Crossroad Press—this weekend or early next week. 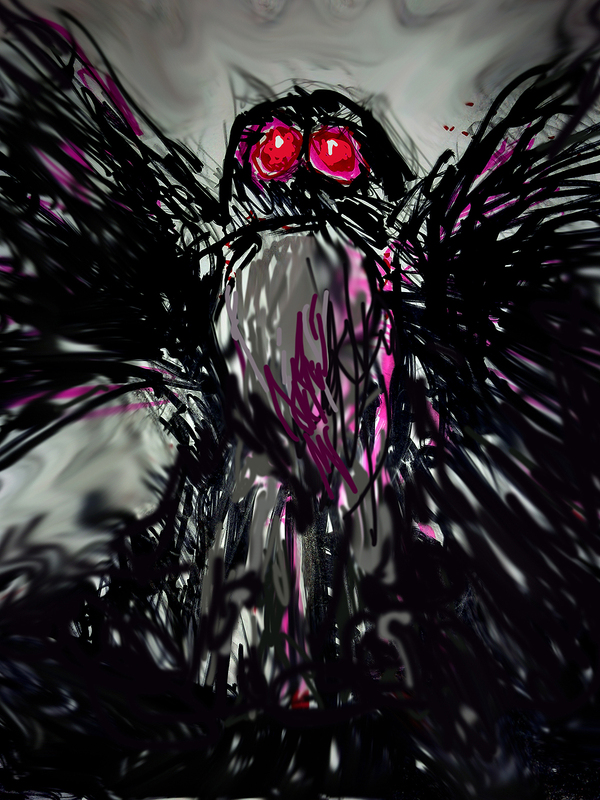 To celebrate, I had a spot of wine and doodled the little Mothman portrait you see here. Each Ameri-Scares novel is based on or inspired by an historical event, folktale, legend, of myth unique to that particular state. Visit Elizabeth Massie's Ameri-Scares Facebook page here. 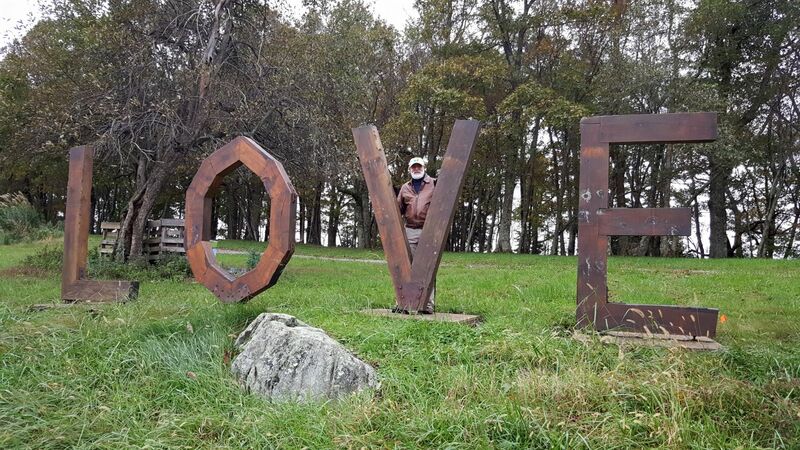 Read about my recent adventures in paradise... er... Point Pleasant, WV, here. with virtually the whole city devoid of electrical power. When Hurricane Florence reared her ugly head a few weeks back, advance reports indicated she was going to be the Mother of Dragons... er... Storms, and everyone in North Carolina was advised to buy hurricane snacks and batten down the hatches. Most of us at least got as far as buying some hurricane snacks, i.e., wine and brie. 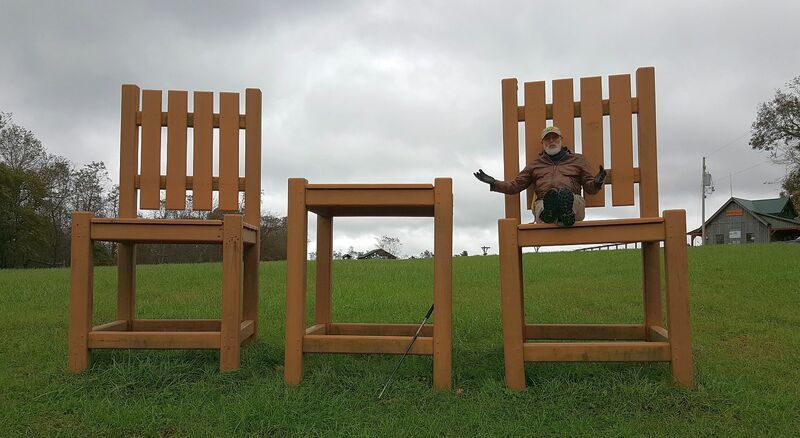 Florence brought significant rain to the Piedmont Triad, and took out power in a few places, but what was supposed to be this giant gale turned out to be more of a fart. Then a few days ago, Hurricane Michael showed up south of Florida, and word was we might get fairly heavy rain for a day or two. Michael kicked our asses. North Carolina got hit with more wind, rain, and damage than any other state in the storm's path, and the Triad—where I am—got hit worst of all. According to official reports, about 90,000 people lost power. As yet, property damage has not been fully assessed. There were downed trees literally everywhere I went. 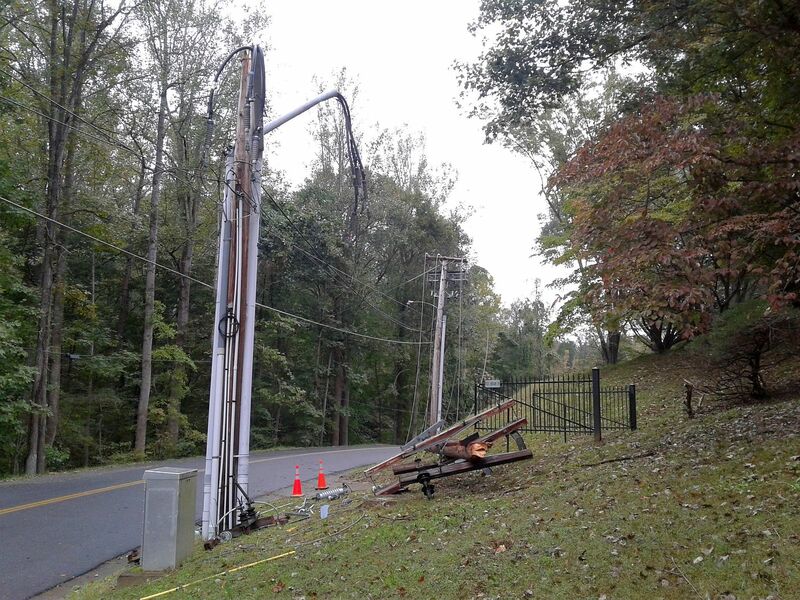 Duke Energy indicated they had to contend with 75 broken poles, 40 transformers, 150,000 feet of wire on the ground, and over 2,800 individual outage locations. 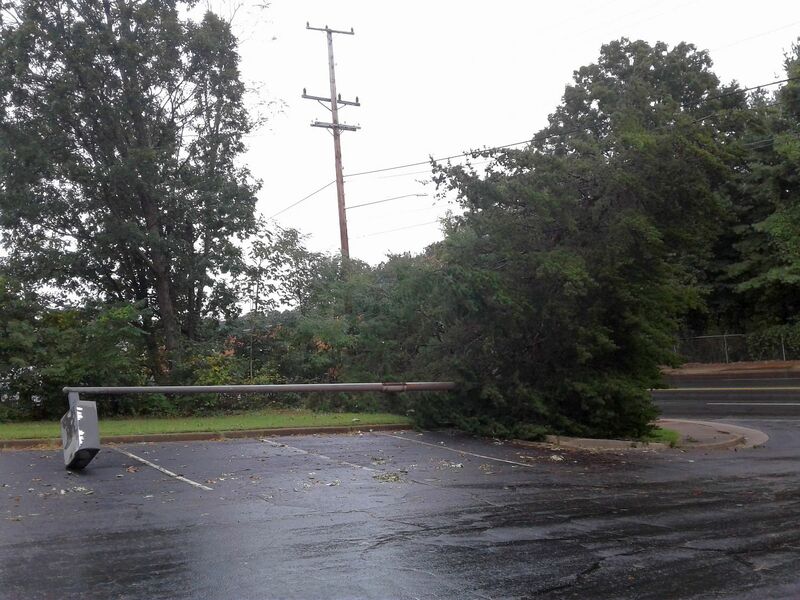 Falling trees knocked out a transmission line that fed two of Duke's substations in northeast Greensboro, and massive flooding delayed the repair. 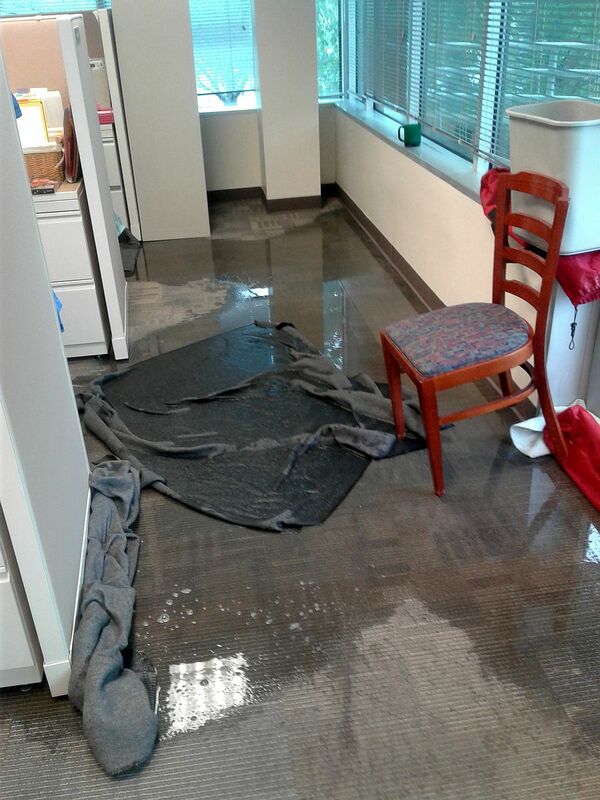 The first sign that things were going really badly on Thursday was when water began flooding our second-floor office, primarily due to the balcony having zero drainage, and water six inches deep having nowhere to go but inside the building. Not to mention non-existent seals on windows, which admitted significant quantities of water directly into the suite. And air conditioning vents taking on water and dumping it on us from the ceiling. As far as I'm concerned, it's a staggering indictment of the builder's stupidity, which I have been harping on since long before Michael. It's easily the most horrendously designed building I've ever worked in. We—the staff of The Mailbox—ended up having to take responsibility for bailing and sopping up water all Thursday afternoon. The building management finally got some pumps working sometime after business hours, so that on Friday—after the worst of the weather had passed—at least we had a mostly dry office. Since our homes were both dark, rather than go straight home on Friday evening, Ms. Brugger and I ventured over to Rioja Wine Bar, a favorite destination of ours, and one of the few establishments in the area to retain power. So we honored them with some significant patronage on Friday night, I can tell you. Saturday morning, after about 30 hours in the dark, Ms. B. 's power came back on. 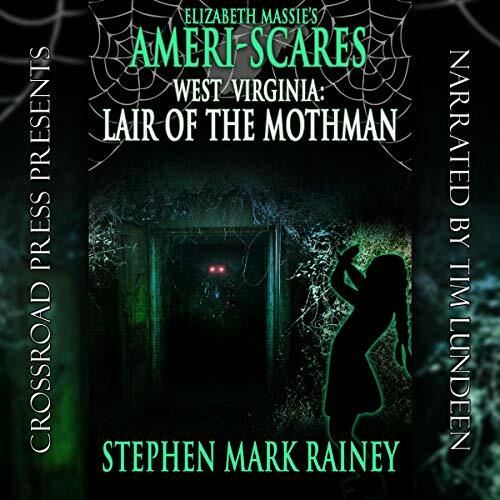 So yesterday, still with no electricity flowing at my house, I trucked over to her place and made myself productive working on West Virginia: Lair of the Mothman, which is in its finishing stages. 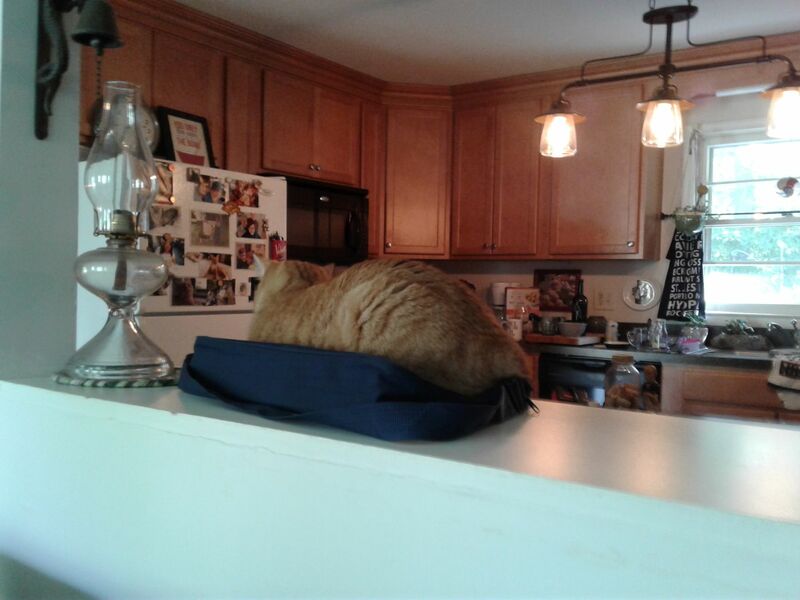 Despite my presence, Ms. B. managed to make the best of the situation. 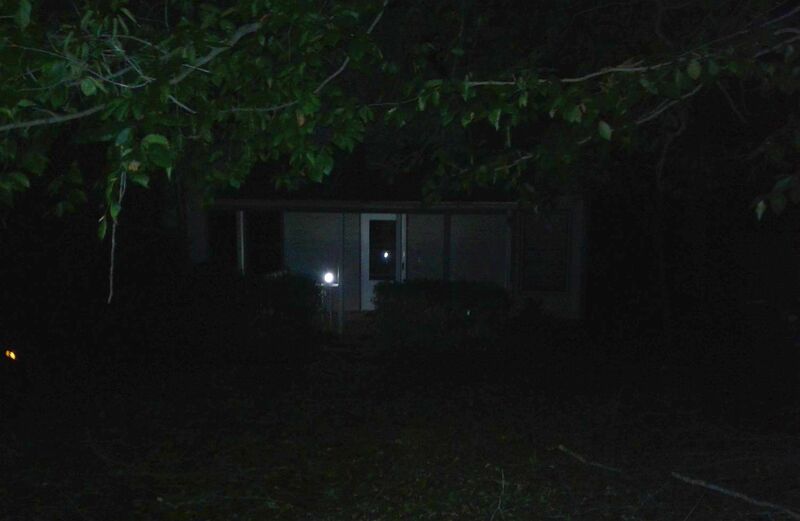 However, I knew my mom, in Martinsville, VA, was without power or working telephone. I eventually managed to contact some of her friends as well as my brother, who went up from Winston-Salem last night to make sure she was secure. And I headed there early this morning to help set things straight—ironically, just about the time my own power came back on, after almost 60 hours. Martinsville was hit hard as well. It's a miracle my mom's power came back on when it did, as literally every power pole on the block north of her place—right up to her yard—was demolished. It was all still down when I left for home a short while ago. I rarely have a good word to say about Duke Energy, and as a supposedly competent corporate entity, I have naught but disdain for it. However, I do give those hardworking crews who have gotten out there to clean up this horror all the credit they deserve. Given the sheer scope of the damage, I am fortunate I'm not still stumbling around in the dark. I did lose some of my refrigerated items, but I managed to get a fair amount of the most expensive edibles I had in the freezer transferred over to Ms. B. 's freezer before it was too late. Currently, my cable and internet are still out, but since I have phone service, I'm using my phone's hot spot to connect via my laptop. This has been a matter of making the best of a bad situation and counting one's blessings under the circumstances. And quite frankly, because the storm turned out to be such a monster, dealing with it hasn't been the bitter pill it is when someone spits on the road and knocks out the power in Greensboro for hours on end—which is so commonplace that investing in a generator has become a most appealing prospect. If you were in the storm's path, I hope you have made out no worse than I. My best to you and yours.